Teleosts and elasmobranchs are the lowest vertebrates that possess adaptive immunity akin to mammalian ones. However, the fish immune system is different from that of mammals, that is, a lack of bone marrow, lymph nodes and germinal center. Their immune system is also characterized by the fact that their surface is covered by live cells with mucus in direct contact with environmental water and the fact that the immune response is greatly affected by temperature. 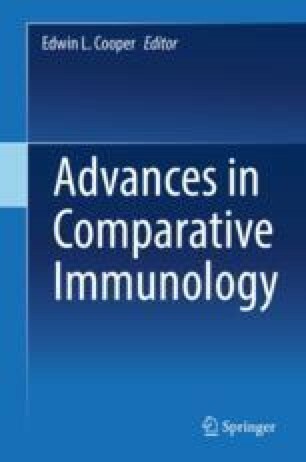 In this review we will describe the current understanding of the teleost immune system from a comparative viewpoint. We will also discuss the regulation of immune response by internal and external factors, since fish aquaculture is growing enormously worldwide, and understanding of the immune system is important for the development of immunological control of fish diseases.